Develop high-performance apps to Generate or Recognize 1D, 2D, and postal barcodes, using language-specific SDKs. Aspose.BarCode Cloud for cURLNo software download required. 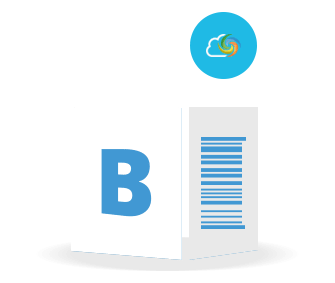 Implement Linear, 2D and postal barcode generation, customization and recognition on platform including Amazon S3, Google Cloud, Drive and DropBox. Aspose.BarCode Cloud SDK for .NETRun it everywhere. No software download required. 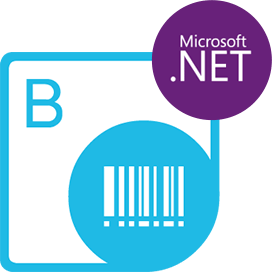 .NET based SDK for Barcode generation, recognition and transformation on platform that is capable of calling REST APIs. Aspose.BarCode Cloud SDK for PHPPHP based SDK for Barcode generation, recognition and transformation on any platform that is capable of calling REST APIs. Aspose.BarCode Cloud SDK for Node.jsThe Power of Cloud and leverage of platform independence. 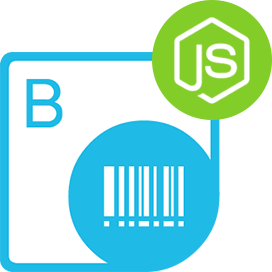 Take benefit of our Node.js based SDK for Barcode generation, processing and recognition. Why Aspose.BarCode Cloud Product Famly ?